In almost any dolphin version I have the problem that popular games like Zelda Windwaker, Twilight Princess and Skyward sword have lags at times. Those lags suddenly occur in cutscenes, when rotating the camera or in battles when attacking enemies. It's not a framerate issue, because when I turn off framelimit, the framerate goes up far over fullspeed. I think it's a ressource reloading related problem. I already tried copying my game images from HDD to my SSD, but it's not helping much. maybe there is something on the settings I might have to change? Well, if you could post your graphics config pages? Even with default settings, those lags exist. Try forcing high performance mode for Dolphin in the NVIDIA control panel. Sounds like something caused by the GPU suddenly clocking down/up. There's usually some settings you can tweak to gain some speed. 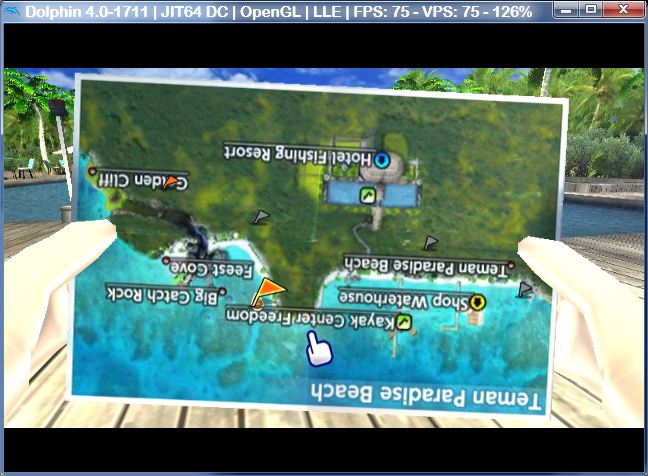 Have you tried using the OpenGL back end with the vertex streaming hack enabled? Also, is your computer set to high performance mode in both windows power management and nvidia control panel? I already had set high performance in nvidia panel in global settings. Powerprofile is set to maximum performance. And no I didn't use the openGL plugin, I use DX11. Shader caching causes frame dips first time a game is run, when you restart dolphin and try the same place of the game it should be lag free. That is the way dolphin is made, can't fix it. There was a rather long conversation about this the other day on the IRC. Turns out, it's not actually all caused by shader caching – plenty of it's caused by disc accesses (and ARAM DMAs? skidau was talkin' about those, I dunno the exact relation), which Dolphin does synchronously. This affects the Metroid Prime games immensely due to how they load resources, with occasional little stutters everywhere. Thought has been put into how exactly to implement asynchronous disc access and either keep it deterministic or keep around the current synchronous/deterministic method (which is actually kinda inaccurate) for TAS use, but so far there's only delroth's old implementation of async disc access in the "async-dvd" branch. I found it.. but it's based on 3.0-728 which is from over a year and 3 months.